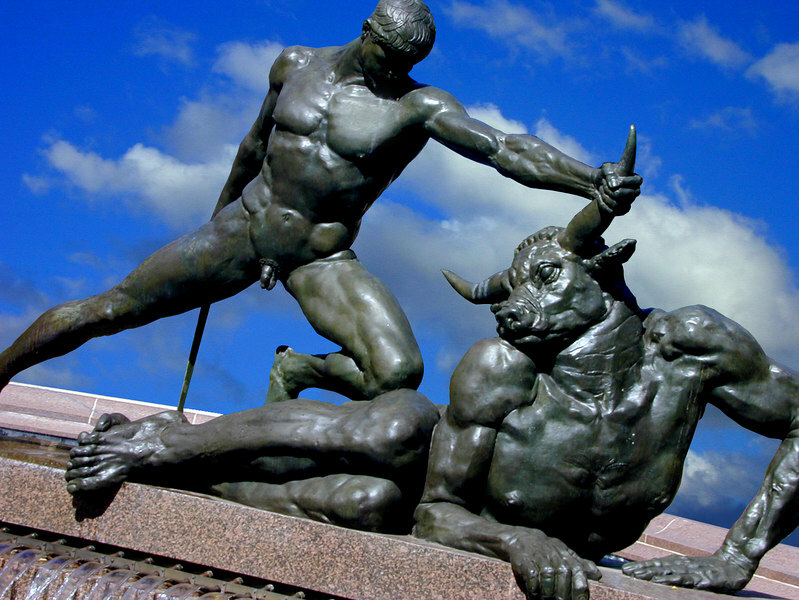 Theseus and the Minotaur. Monumental bronze by Francois Sicard. Part of the Archibald Fountain, Hyde Park.